Ever since the presidency of Theodore Roosevelt, the United States has undergone a new burst of social progress about every 30 years—so goes the grand old historical thesis of Arthur M. Schlesinger senior. Progress bloomed under Roosevelt in 1901, under FDR in 1933, and under JFK in 1961. 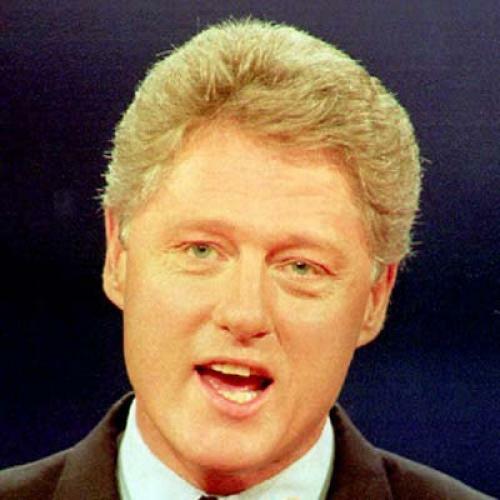 Then another 30 years passed, and Bill Clinton came to power. Liberals and even a few radicals earnestly hoped that, once again, an age of social progress was about to burst into leafy blossom, perhaps in fertile contact with the livelier intellectuals. And the liberals and radicals eagerly looked for signs of the progress to come. Or what they thought were signs. The problem, I think, is that Franklin Roosevelt’s New Deal has blinded some of us on the left: having gazed upon too many dazzlements from the 1930s, we can no longer reliably distinguish a giant New Deal office building from genuine social improvement. So we liberals and radicals searched the Clinton administration for vast new programs to applaud. But nothing loomed into view. Even Clinton’s health care bill, huge as it was, proved more of a market regulation than a giant new agency. And quite a few good-souled liberals and radicals, failing to see any connection between their Rooseveltian expectations and the Clintonian reality, began to feel not just disappointed by the new president but actively deceived. By a strange coincidence, Clinton’s more conservative supporters responded to the man in much the same way. Clinton’s campaign rhetoric, in its slickness, had led those people to expect a Democratic version of Reagan-style conservatism. But Clinton was plainly not a conservative. Instead, he turned out to be...no one knew what. And so, on the right as on the left, a worry arose that national power had fallen into the hands of a crafty political operator whose principles could not he identified and who therefore might have no principles at all. A scoundrel! The worry took on a shimmer of sexual revulsion. And by 1998 a genuine panic swept the political class—a hysteria that produced a graver crisis than anything since the days of Richard Nixon, who really was, according to recent accounts, slightly mad. Looking back, though, it should have been obvious all along that Clinton did, in fact, adhere to a simple enough set of principles. He attached the social goals of traditional liberalism to the market methods of traditional conservatism. At home, he was pro-business, pro-labor, and pro-civil rights. Abroad, he was pro-free trade and pro-human rights. It was an impossible combination, logically speaking. It was an ideological scandal. It was the scandal that underlay the scandal. But such was his approach. And by now we can judge the results. (also after a long decline); the rise of the black middle class; the rise in racial tolerance; the rise in home ownership, car ownership, and stock ownership; and the rise, not least, in your chances of getting home at night without being mugged, you arrive at a remarkable total. And its meaning is this: We are living in an age of social progress. The Schlesinger thesis still holds. The balance sheet in foreign affairs is a little less clear. Clinton’s principle of cobbling together opposites led him to attach a dovish timidity to a hawkish human rights idealism, which was not always a good thing (though sometimes it was—e.g., the passive-aggressive way he invaded Haiti, where no one got killed). Still, a few years ago it was all the rage to predict a world dominated by cynical great-power rivalries: Europe in one corner, Japan in another, America in a third, and so forth, mutually snarling. Instead, a world has arisen in which, at least for the moment, the rhetoric of human rights and democratic solidarity has become just as globalized as everything else. And sometimes the rhetoric is more than rhetoric. For some reason, though, no one has produced a simple, systematic, popular account of Clinton’s general approach to public policy. No one has even coined a phrase to describe the main operating principle, apart from “Third Way,” whose only meaning is “not this and not that.” The fertile contact with the livelier intellectuals somehow ended up being less than fertile. And, in the absence of any systematic explanation, quite a few people who dwell in the world of ideology have not been able to notice any social progress at all. They look and do not see. Or else they do notice one aspect or another but cannot detect the guiding hand of government. The blindness comes in right-wing and left-wing versions, and the left-wing version strikes me as especially poignant right now. That’s because the stouthearted 3 percent of America’s voters who have thus far stuck with Ralph Nader may well hold the election in their hands. Those people secretly worry, I’m convinced, that today’s Democratic Party is not, in fact, Tweedledum, and that supporting Nader may he a big mistake. They have surely noticed that hardly any of their fellow Naderites are black, which must give them pause. But the Naderites comfort themselves with the notion that Al Gore will win anyway and that a Green Party vote will push him to the left. And here is where they make their biggest error of all. For how did Clinton and his administration come by their achievements? By the skin of their teeth. Clinton never won 50 percent of the popular vote and was always politically vulnerable because of it, which is part of the reason the Republicans staged their sort-of-a-coup. Had he won even a bit more popular support in 1992, some 40 million Americans might have health insurance right now. In most of the polls. Gore’s support has likewise failed to surpass 50 percent. The Nader voters could push him over the line tomorrow, if they wanted to. They could give him a nice little left-wing boost, and, withmomentum on his side. Gore could end up winning the kind of power that Clinton has never had—the legitimating power of a popular majority, the power to make the current set of achievements seem mere preliminaries to even grander possibilities. But I am dreaming. For no one has adequately described the social progress that has already come about, and the Naderites still persist in regarding that progress as a noxious myth. And, in their indignation, they won’t give a damn about boosts, momentum, and majorities.